The misery of the Baudelaire orphans continues as they are relentlessly pursued by the evil Count Olaf. Why would anyone want to open a book containing such unpleasant matters as migrating crows, an angry mob, a newspaper headline, the arrest of innocent people, the Deluxe cell – and some very strange hats? It might just be me but i really did not get on with this series.The first few books are good but I feel as if they rushed the ending quite a lot so if you liked all the mystery to be perfectly clear then this is not the book for you! This book is great it is just my type. If any of you out there like something Adventurous this book is specially for you. 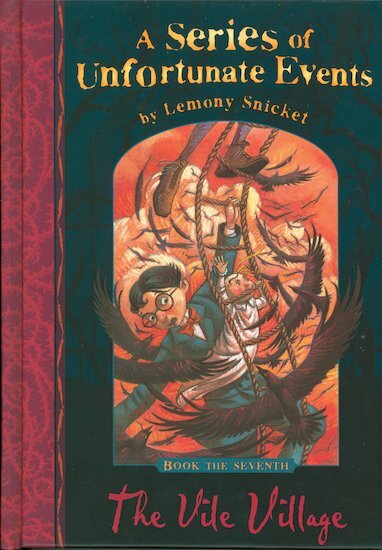 Another Lemony Snicket book, and another excellent one, do doubt about that! The books just get better and better!